It’s funny how time seems to warp when we try to recall movie dates, and books are the same. It’s incredible that the world’s favourite young wizard, Harry Potter, has been around in print for 20 years! As it happens, we’ve been tricked… Harry has actually been around for 37 years! For those baffled by the mystical maths, Harry came to life in 1997 with The Philosopher’s Stone, but he was actually born to J.K Rowling back in 1990, apparently on a crowded train… fortunately only in her mind! The information wasn’t apparent in the books, but J.K Rowling confirmed his official birthday on her website’s blog back in 2014. 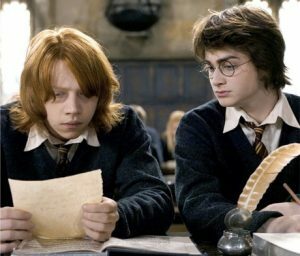 The vagueness around Harry’s age never put anyone off though; on the contrary – Rowling’s unique tales created Potter fans across all demographics. Harry may remain forever a child in the mind of the nation, but that won’t stop us going all out to celebrate his 37th birthday here in Melbourne on 31st July. Go potty with all things Potter at Wizardfest. These guys are putting it out there that it’ll be the biggest party in the country, so it’s going to be an occasion to pull out all the stops. Drinks are themed to fit the category of ‘magical’ and will include Firey Whiskey, Potent Potions and Buttery Brews. There will be a live DJ all night on both nights, and costumes are going to be a big feature – there’ll be a costume contest, so plan to work your outfit magic to win prizes and make the most of the free photo booth. Why not spook the atmosphere up a little in a Lord Voldemort costume, or opt for someone a little saucier, like the lovely Luna Lovegood? It’s hard to turn down an opportunity to transform yourself into a formidable being like Dumbledore for a night… so take it! A face painter will be on hand to make sure all the finishing touches are in place; there will also be a cartoonist, a fortuneteller and some wonderful wands on sale. Witchcraft gets going at 8pm on both nights, with a live magic show starting at 9pm. Get your tickets here. Fancy yourself as a bit of a whizz on the Harry Potter trivia front? Then this is the celebration for you. Eureka Hotel’s Head Master has invited you to pit your knowledge against that of other Australian Potter fans at the hotel’s Great Hall in Richmond. You’ll be entering the Hogwarts School of Witchcraft and Wizardry at 6pm and your exams will start at 7pm. You’ll have an option to buy a delicious meal to fuel your brain power before they start. Expect to be tested thoroughly on your book and film knowledge, and anticipate a few curve-ball questions to keep you on your toes! Your junior witches and wizards will be welcome if you have any, and you must obey the simple rule: come in uniform! Which uniform will you choose? Team the youngsters up as Harry himself and Hermione Granger, and have them escorted by adults Professor Dolores Umbridge and the cunning Professor Quirell… the choice is yours, but don’t forget to get your tickets here. On Friday 18th August, the local wizards get together in Prahran to discuss their latest spells while swigging on Butteredbeer, Potent Potions and Firey Whiskey. If you come down for this night, there’s a little gift included – your very own custom-made Harry Potter cup. Everything is going to be of a wizardly appearance, and that should include you! Get your tickets here – each includes a free brew of your choice. This one may be a way off yet, but it pays to prepare for something this big. 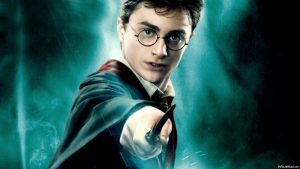 True Potter fans will relish the chance to embark upon this celebratory Harry Potter film megathon. You’ll get to see the whole set of films, from Philosopher’s Stone to Deathly Hallows, culminating in a screening of Fantastic Beasts and Where to Find Them. That’s a grand total of eight films! Have you got what it takes to make it through? Prepare yourself for a hell of a ride, starting at 11:00 and finishing a massive 24 hours later. Don’t worry, the seats are comfortable! There will be a chance to win some prizes; think Chocolate Frogs and Bertie Bott’s Every Flavour Beans. Mmm-mmm. 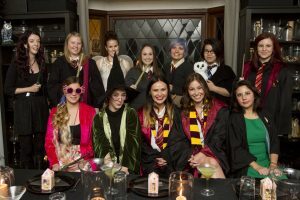 Again, no Potter celebration would be right without the appropriate attire, and Astor are fully encouraging this. So make sure you’re decked out in your finest Yule Ball dress robes. Conjure up a few tickets for you and your friends at the Astor’s website – get them early to avoid disappointment. If you simply can’t get enough of the Harry Potter celebrations, why not throw your own Hogwarts costume party at home? There are so many weird and wonderful characters to choose from, you’ll be spoilt for choice. However you choose to celebrate Harry’s birthday, our advice to you is this: make the most of your magical self over these next couple of months and go as potty as you can muster! Melbourne was made for it.